First, Miles Morales burst onto the scene as the new Spider-man in Ultimate Comics Spider-man, mixin’ it up with his half-black, half-latino heritage. Then, the oft overlooked interracial duo Cloak and Dagger got a romantic revival and joined Team Morales. And now, we’ve got Silk — a brand new Asian American female superhero written by Robbie Thompson, probably best known for his work as a writer and producer for the TV series Supernatural. AND not only is Marvel introducing this Asian American hero into the mix, but she’s even getting her very own series!! A classmate of Peter Parker‘s, Cindy Moon was bitten by the same radioactive spider that bit Parker. However, Moon was then taken and hidden away by Ezekiel Sims for seven years, during which she honed and mastered her new powers. And now that she’s emerged with skills that rival Parker’s, she’s got a lot more than big bad villains to deal with. 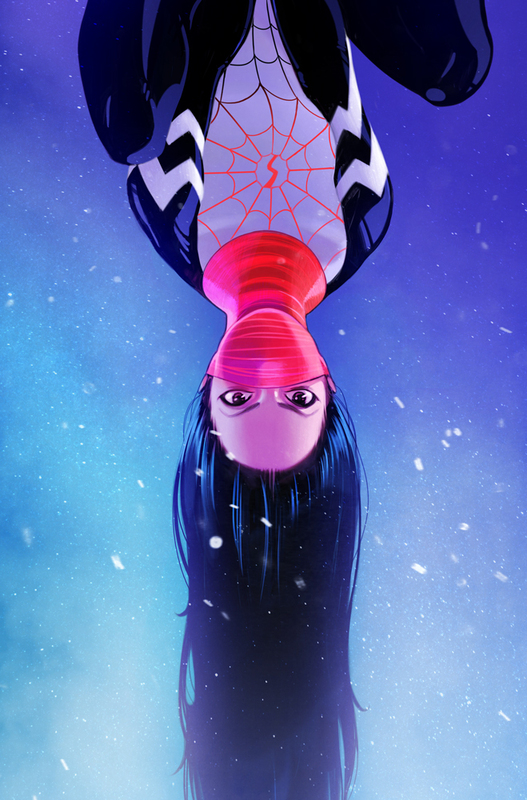 Silk was first introduced as a character back in July 2014 as part of the Original Sin arc of The Amazing Spider-man, when Parker helped free her from her captivity. The new series launch in February 2015 will make Silk one of two Asian American female superheroes leading her own mainstream series right now (the other being Ms. Marvel‘s Kamala Khan, a young shape-shifting Pakistani-American girl protecting Jersey from the big baddies). Silk and Ms. Marvel are a breath of fresh air in an increasingly diverse, but still overwhelmingly homogenous, comic book industry. Until now, the X-Men‘s Psylocke and Karma have been Marvel’s most prominent Asian American female superheroes, neither of whom have led their own self-titled ongoing series (although Psylocke (aka Betsy Braddock) headed her own self-titled four-issue mini-series Psylocke from 2009-2010). And then, of course, Psyclocke actually started out as a white British model before some crazy story line stuffed her mind into the body of a Japanese ninja named Kwannon, so… anyway…. It’s a beautiful thing to see more superhero ladies of color making their way to the covers of comics. 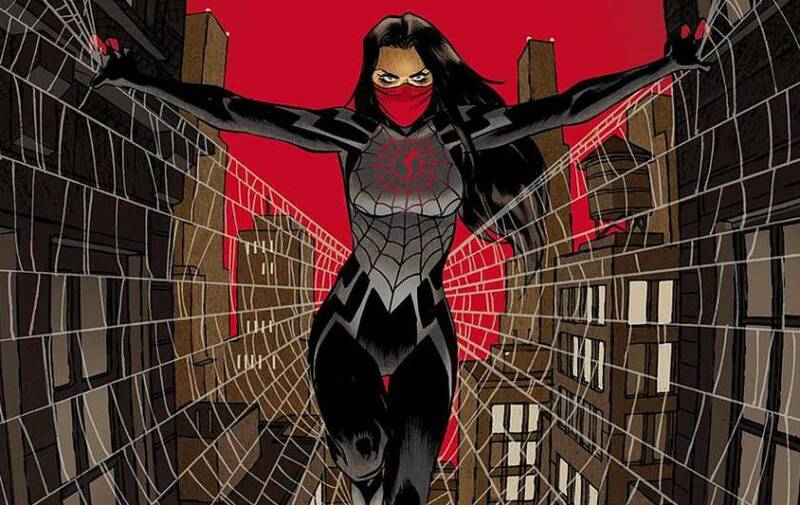 Silk promises to enrich the Spidey universe with a history tied closely to Parker’s own origin, and a whole lot of catching up to do. Peep the interview with Robbie Thompson over at Comic Book Resources, and support your heroes of color. Pick that ish up in February! Previous Previous post: Remember This?? URSULA K. LEGUIN’s *Badass* Response to Syfy’s WhiteWashed EARTHSEA Adaptation?